Membership to the Five Fourteen Club provides a unique opportunity to be among the first to enjoy new releases and exclusive events. Wine selections are automatically sent to you twice per year, Spring and Fall. 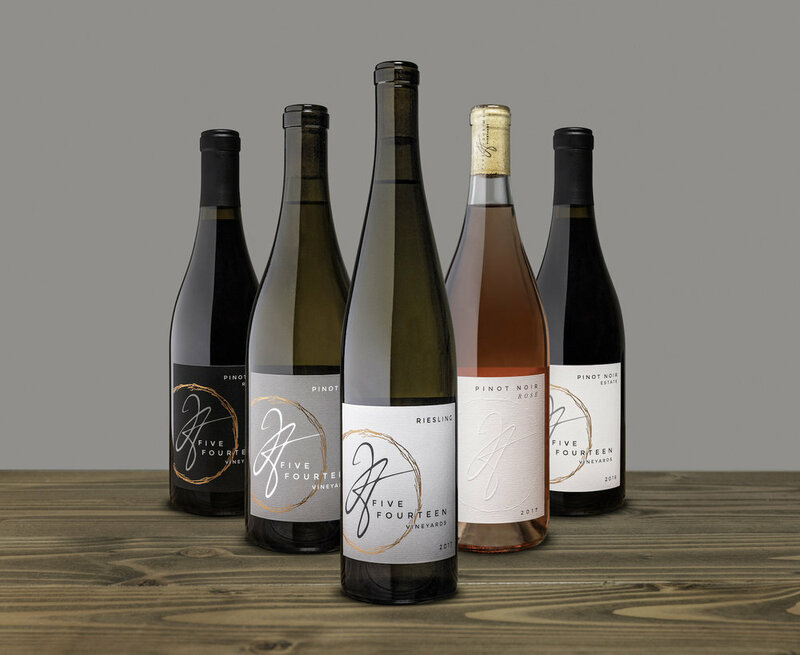 If you are in the area we will have a Spring and Fall release event where you can opt to pick up your wines. 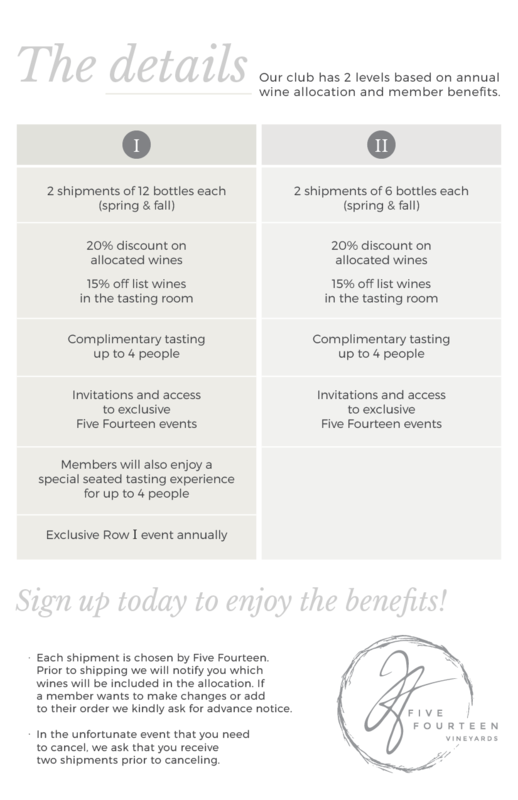 We offer two levels of membership to best meet your wine preferences. Contact us to join the Club!